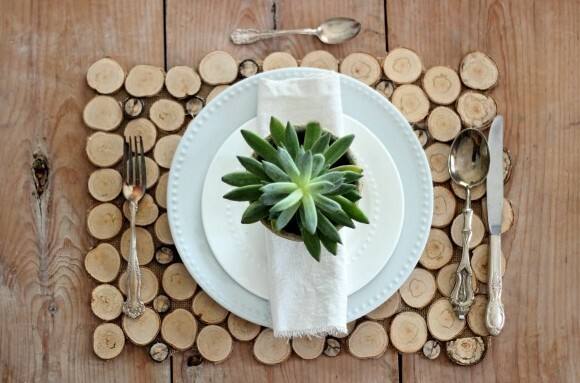 Make a sturdy placemat by cutting a burlap in your desired shape and size and glue wood slices onto it! Follow the tutorial on the source to create this idea. See this idea using a single large slice of wood as a charger plate.